As in previous years, the icons remain fairly popular attribute of youth symbolism. The icons depict famous rock musicians, provocative characters, and writing calls for a different kind of action. We will show you how to make the icon your own hands. Sunset metal badge 35 diameter-56mm, scissors, picture-picture for a new icon with margins at least 1.5 cm for hemming. Let's consider some options for self-production of badges. The first option – conversion ready setting icon. 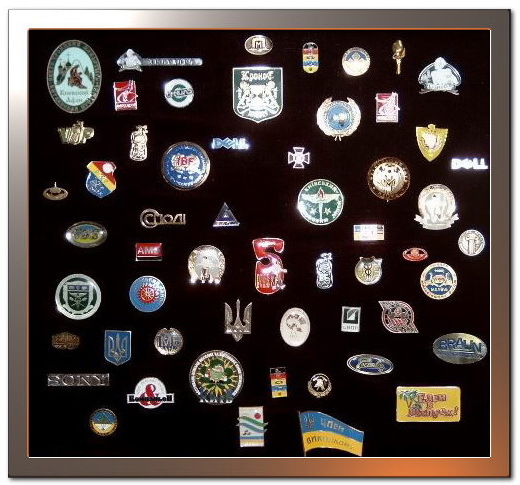 The sunset icon is a metal or plastic round badge with pin on the reverse side. First pry off the icon plastic base. Then remove the metal part with the image in the film, taking care not to damage it. Next, remove the image and film by tilting the edges. Then apply the desired image-the image to the metal base of the icon, bending field. Top-attach film, also bending the edges inward. In conclusion, insert the prepared metal part of the icon plastic base with a pin. The icon is ready. The second option is a revision of the setting icon. This method is much easier that described above. For the manufacture of an icon, need the setting icon with the pin image for the new icon, made on self-adhesive paper, wide tape. Print the desired image on adhesive paper, stick it on the badge. Secure the top of the wide tape so to avoid bubbles and folds. Smooth not a sharp object final image. Instead of tape, the image is to laminate using an iron and a plastic bag. Using the same technique you can make an icon that looks like a real bouquet of flowers. For this you will need tissue paper or thin fabric, the glue. Cut the paper estilisticas or twist of the pieces of colored paper of arbitrary shape flowers. Glue stick them to the base with a pin. Let the glue dry. After a few hours of fashionable decoration is ready.